Two years ago today we stopped at Arizona’s Sunset Crater Volcano National Monument, which we’d never heard of it till we were in the area. 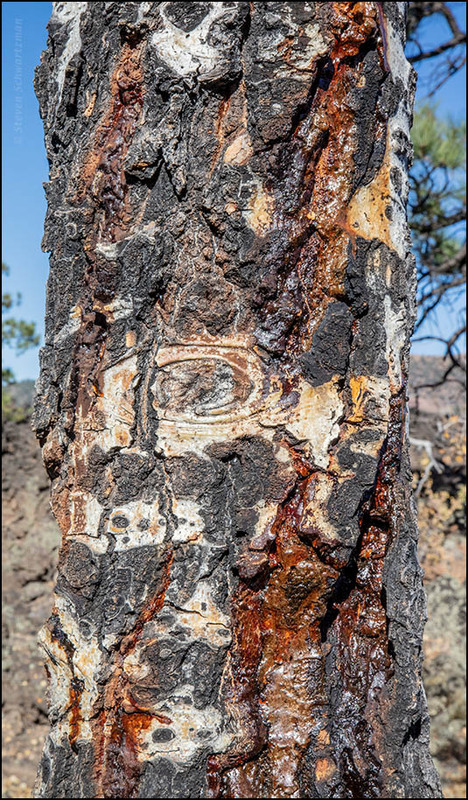 The oozing, highly textured trunk of an aspen tree (Populus tremuloides) caught my attention there. 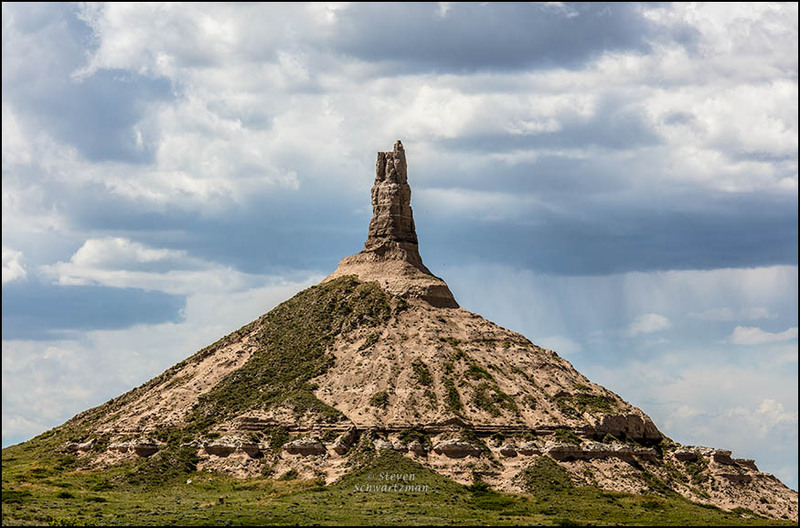 On May 28th we drove through intermittent rain as we wended our way west toward Chimney Rock National Historic Site in Nebraska. The showers had stopped by the time we reached that pioneer landmark on the old Oregon (and Mormon and California) Trail but you can see that rain was still coming down in the distance farther to the west. If you’d like to visit this place, whether by wagon train or car, here’s more information. 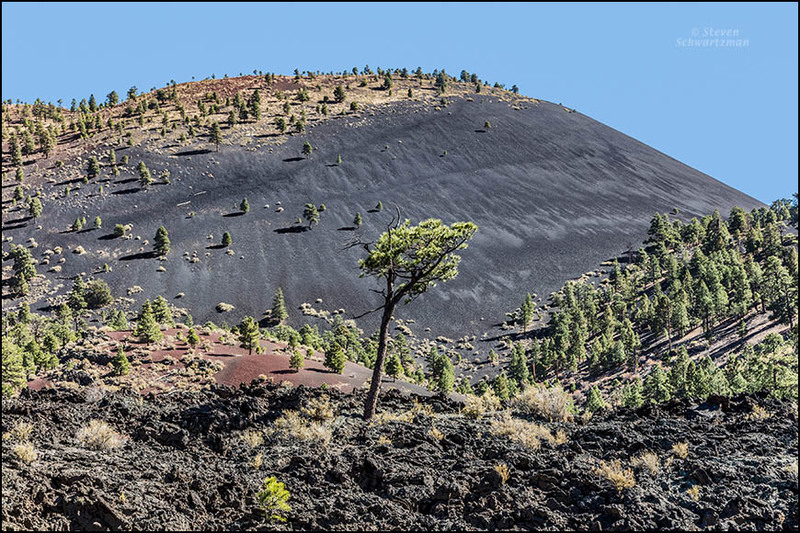 I identified the previous picture as coming from our October 21st visit to Arizona’s Sunset Crater Volcano National Monument. I’d be remiss if I didn’t show you a picture of the volcanic features that are the site’s main tourist attraction. According to the flyer the National Park Service gives visitors, the volcano is estimated to have erupted between 1040 and 1100, so it’s not even one millennium old. In geological time, that was practically yesterday. 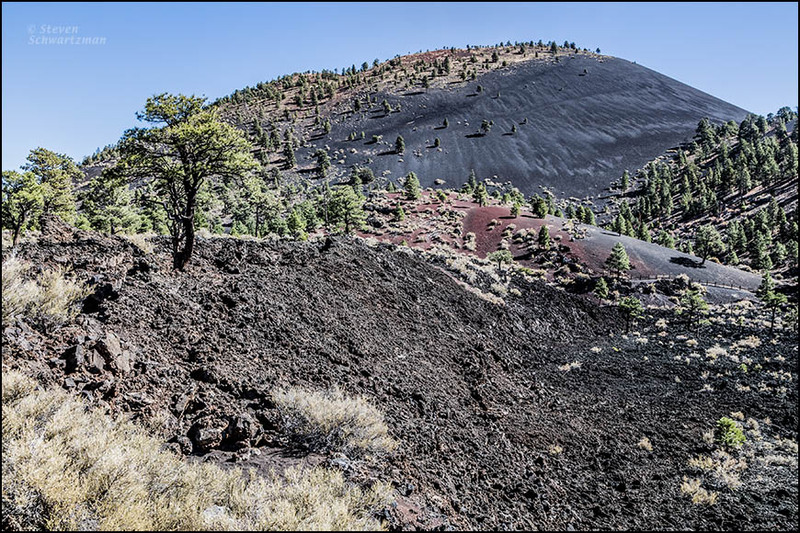 Notice the lava in the foreground, the ponderosa pines in various places, and the heavy covering of ash that is still acting over a large area to keep new life from springing up. 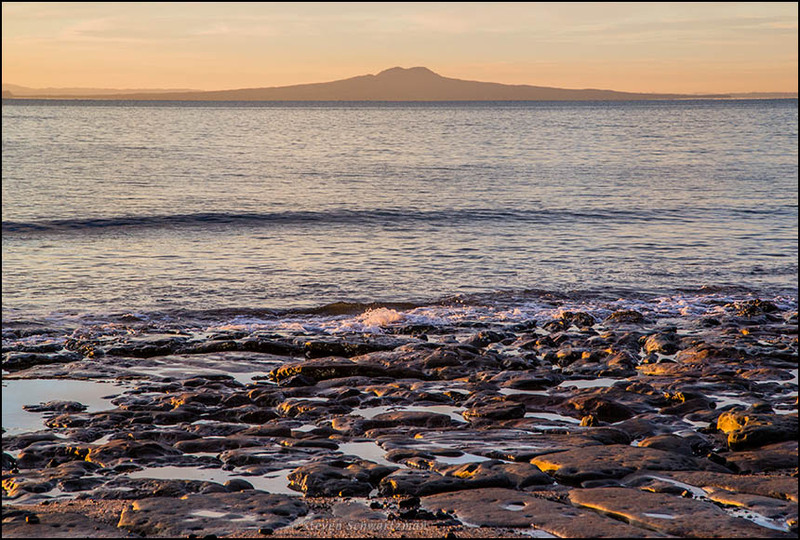 If you’d like to learn more about the extinct volcano that is Rangitoto Island, you can read the website of the Rangitoto Island Historic Conservation Trust or a Wikipedia article. 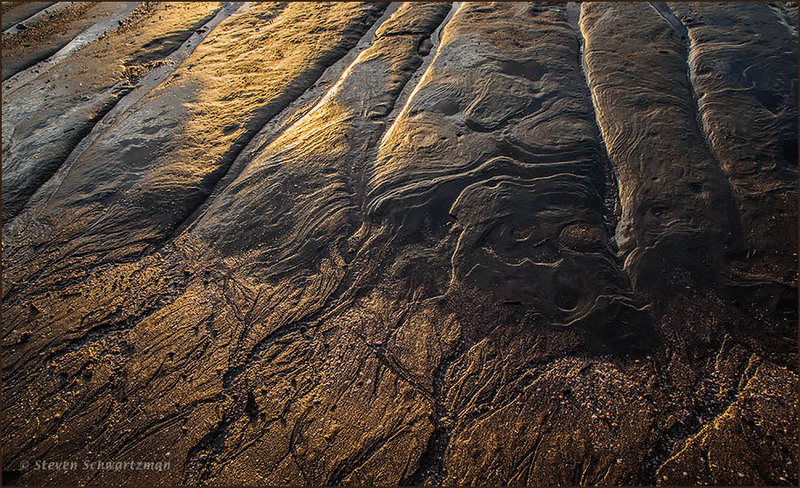 And if you’d like a closer and more-abstract view of the rocks on Little Manly Beach by the dawn’s early light, just look down. That lava got to lave before. 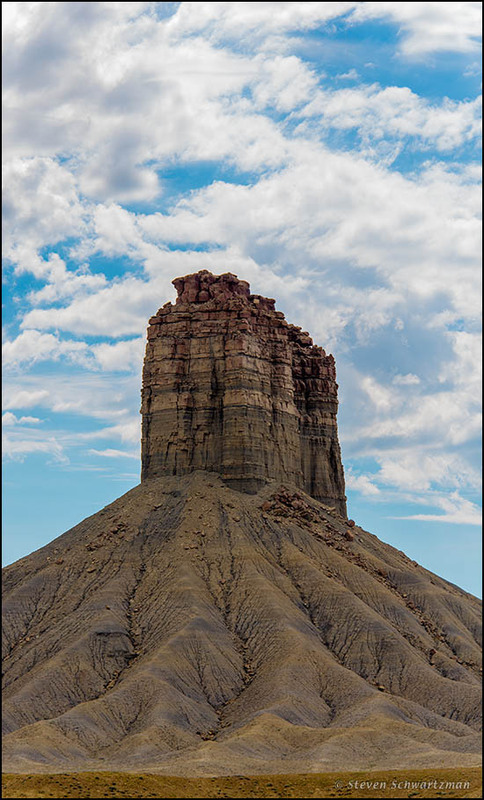 There are at least two geological formations in southwest Colorado called Chimney Rock. Here’s the one near the intersection of US 491 and US 160 in Montezuma County as it looked on the morning of September 27th. I wondered if this might be the core of an ancient volcano, the rest of which has disappeared after aeons of erosion, but the strata of rock in the “chimney” make me question that. If anyone knows, please let us us know too. As promised, I’ve returned to pictures from the American Southwest. After some more of those I’ll come back to central Texas in the autumn, then keep alternating for a while.